"Sign up to a grenadine and you join a rather exclusive club. Only one factory in Lake Como still weaves these marvellous ties the proper way: on specialist wooden looms that are over 100 years old. Well, consider this your welcome letter. This bow tie is a true grenadine in every sense; all the way from Como and ready for any splendid occasion." "Take a bow, sir, for your taste is impeccable. 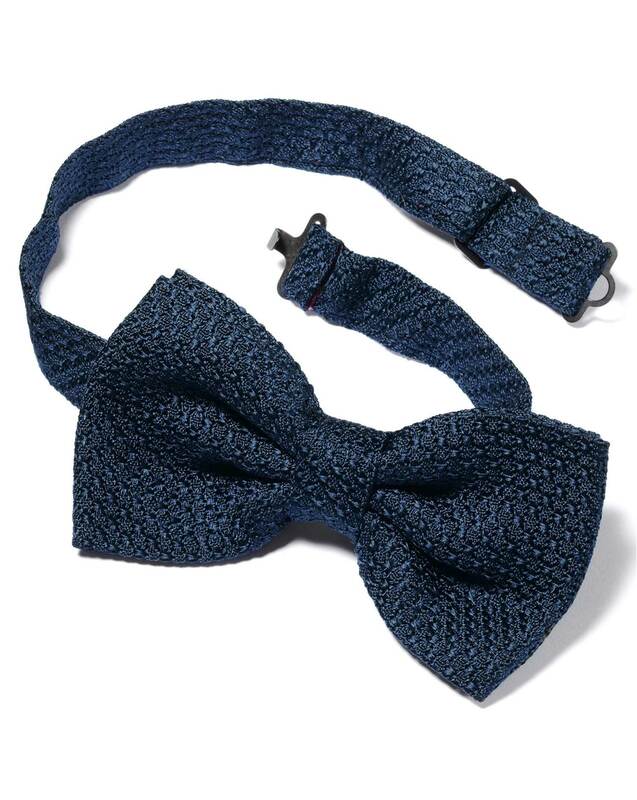 This dicky bow was woven Lake Como, Italy, as all true grenadines should be."